This radio has been replaced! 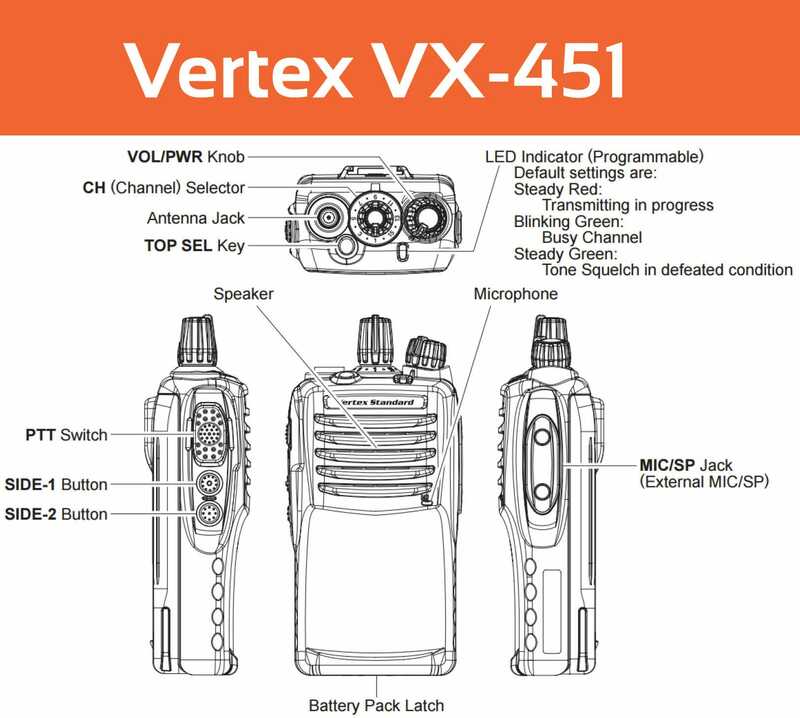 The Vertex VX-451 is a portable analog radio that features 3 custom-programmable keys and numerous safety features. Like all Vertex Standard radios, the VX-451 includes built-in safety features including Emergency and Lone Worker alerts. The Emergency feature makes calling for help easy by just pressing a button. When the button is pressed, the radio will switch to a specific channel that calls for help. The Lone Worker feature is a timer which requires you to reset within a specific time interval. If it is not reset in that time period, the radio will switch automatically to Emergency mode and send out a help alert. Another incredible safety feature is the Man Down function (with DVS-9 unit), which uses a 3-axis sensor to monitor if a worker falls and then can alert for help. The Vertex VX-451 is definitely there for you in all situations. Not only does the Vertex VX-451 meet military standards for ruggedness, it also has an Waterproof IP Rating of IP57, making it water submersible in up to 3 feet of water for 30 minutes. The VX-451 features 700 mW loud audio output, ideal for noisy work environments, and includes Channel Announcement which speaks out loud your channel description so you can stay focused on the task at hand easily. It also features voice activation (VOX) when used with a MH-81A4B headset that enables users to transmit voice without pressing the Push To Talk button for hands-free operation. You can also record up to 120 seconds of voice messages using the optional DVS-8 Voice Storage unit. 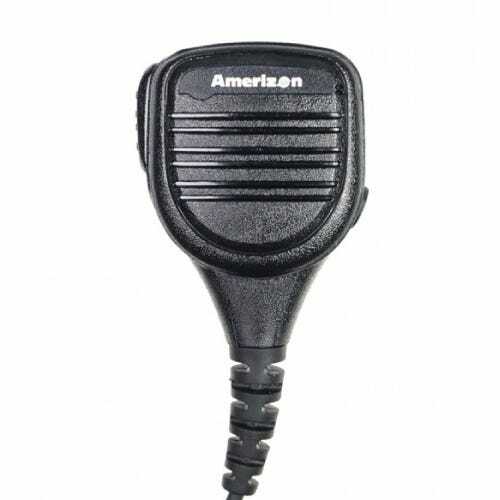 The Vertex VX-451 includes MDC-1200® encode/decode, along with both 2-tone and 5-tone encode/decode, to provide selective radio calling and efficiency in supporting a variety of discreet communication needs. 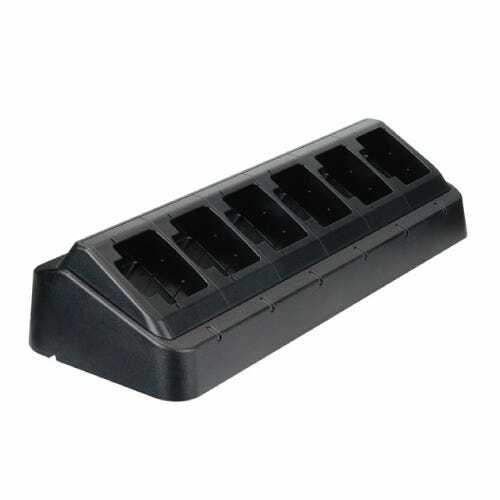 This universal charger gives you the ability to charge six Vertex Radios with UNI Batteries at one time, helping you build the charging station you need to keep your radio fleet organized. Using speaker microphones, like the Eagle VX1 Remote Speaker Mic, can allow users to communicate through their radio while it remains secured to their belt, drastically lowering the risk of drops and damage. This item has been replaced!